Hay’s T12 table features a minimalistic design that makes it a great desk or dining table, suitable for any space and décor. The metal legs of T12 table have been positioned in the corners of the table to maximize the number of seats around it – the design is perfect for a large group of people at the dining room or office. 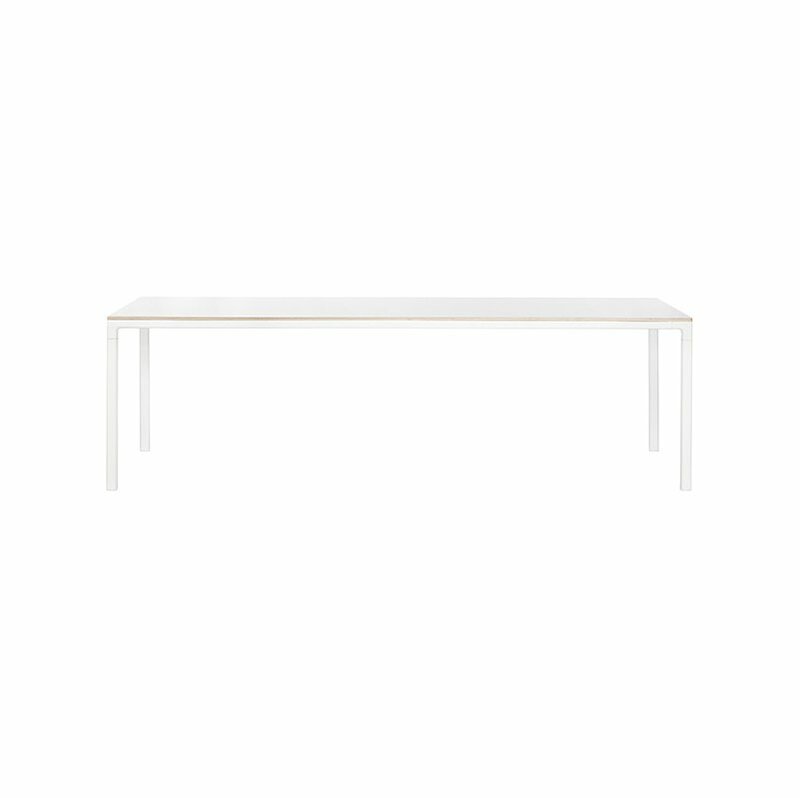 The white laminate table top has plywood edges and it measures either 200 cm x 95 cm or 250 cm x 120 cm.